Speaking at a felicitation ceremony for constable Sudarshan Shinde, Mahadeshwar said that the fire had killed 34 people, reported Hindustan Times. 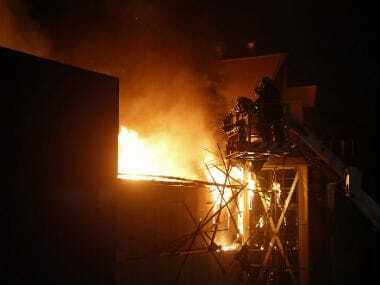 14 people had actually died and over 20 others injured after a major fire broke out at 1Above, located on the terrace of a building in Kamala Mills compound on Senapati Bapat Marg in Lower Parel on 29 December. "The number 34 is on my mind all the time, as I won the elections by 34 votes," the report quoted Mahadeshwar as saying. In the aftermath of the Kamala Mills fire, it was politics as usual for Maharashtra's bickering ruling alliance partners BJP and Shiv Sena, as the former sought to pin the blame for the Mumbai fire tragedy on the Sena, which controls the city's civic body. 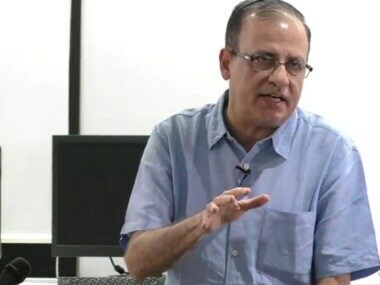 BMC Commissioner Ajoy Mehta on Tuesday also visited Kamala Mills compound apparently to take stock of the action initiated by the civic body. Mehta was accompanied by Chief Fire Officer, besides top officers of police and the civic body. 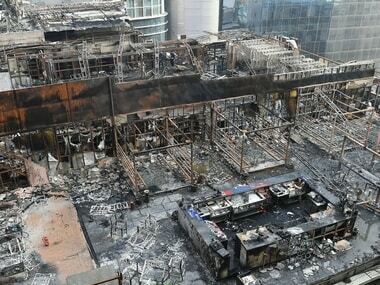 In the aftermath of the fire tragedy, Maharashtra chief minister Devendra Fadnavis directed Mehta to conduct an inquiry and submit a report within 15 days. In the wake of the fire incident, the BMC launched an aggressive campaign to detect illegal alterations made by restaurants and pubs across the city and demolished them. Although Mehta didnt speak to media persons, a senior civic official said it was his routine visit to take stock of the BMCs works.